If you need a private party with a great atmosphere, delicious food and friendly service, look no further than the 1860s Game Room. 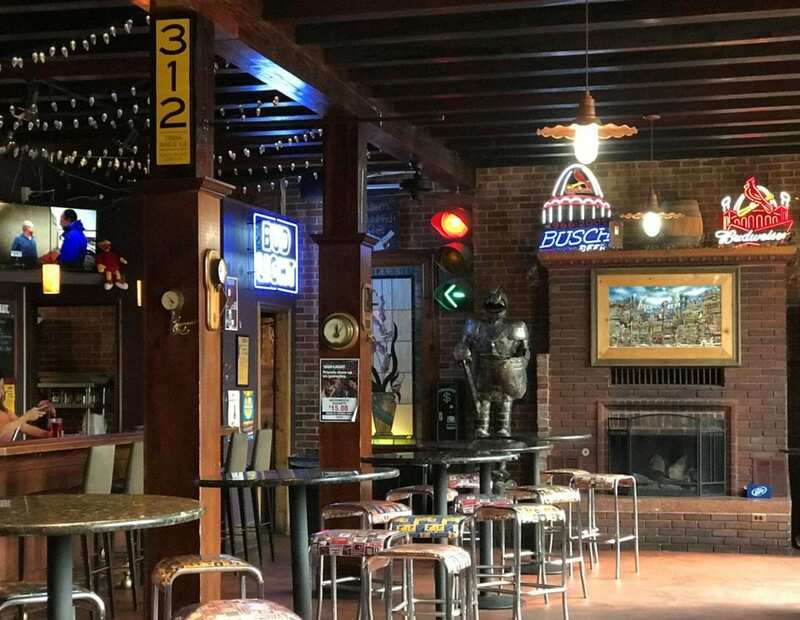 The room’s separate entrance, bar, and restrooms, with a fireplace, games, Touch Tunes music, and TV’s offers the perfect setting for a group to mingle, celebrate and play. It’s a great value in the heart of Historic Soulard! There are times available for a private party between 11 a.m. and 10:30 p.m. on a Monday, Tuesday, Wednesday, or Thursday. On weekends, Saturdays and Sundays there are times between 11 a.m. and 3 p.m. There is free parking in the lot across the street and on the quiet side streets of Soulard. We have 6 high top tables with 17 stools, and 9 bar stools at the bar front. The space is great for appetizers and mingling for up to 60 people. Guests are welcome to visit the two rooms on either side of the Game Room. The 1860 Saloon features a classic wood back bar and hosts live music 365 nights a year and weekend afternoons. Our 1860s Hardshell Café has another bar, two “Giant Jesters” and a 500-gallon fish tank. It can also be reserved for private lunches. Food options include our popular appetizer buffet, starting at $9.95 per person. We also serve any of our pizzas listed on the menu. And possible add-ons include cocktail shrimp, cheese & veggie Tray, and deli sandwiches. We have many bar options, including cash bar, open bar (house or premium brands), and drink tickets issued and . Soda and tea are complimentary in any package. The room offers Golden Tee, foosball, shuffleboard, darts and arcade games. If you’d like to provide a few rolls of quarters for your guests, we have a change machine, or bring cash or charge card to “buy” the quarters, $10 per roll. In addition to the Game Room, guests are welcome to visit the two rooms on either side it. The 1860 Saloon features a classic wood back bar and hosts live music 365 nights a year and weekend afternoons. Our 1860s Hardshell Café has another bar, two “Giant Jesters” and a 500-gallon fish tank. It can also be reserved for private lunches. We do not have a room rental charge, but have a minimum of $500, excluding tax and gratuity. A minimum of $150 down is required upon booking (credited toward final bill) and non-refundable less than 7 days prior to the event. Final count needed 48 hours prior to the event. Please note that the room is not in the calendar as “booked” until confirmed in an email or text by an 1860s Manager. We look forward to helping you plan a fun and memorable event! Please let us know if you have any questions or would like to talk more details. • 1860saloon.com for menu, live music schedule, etc.